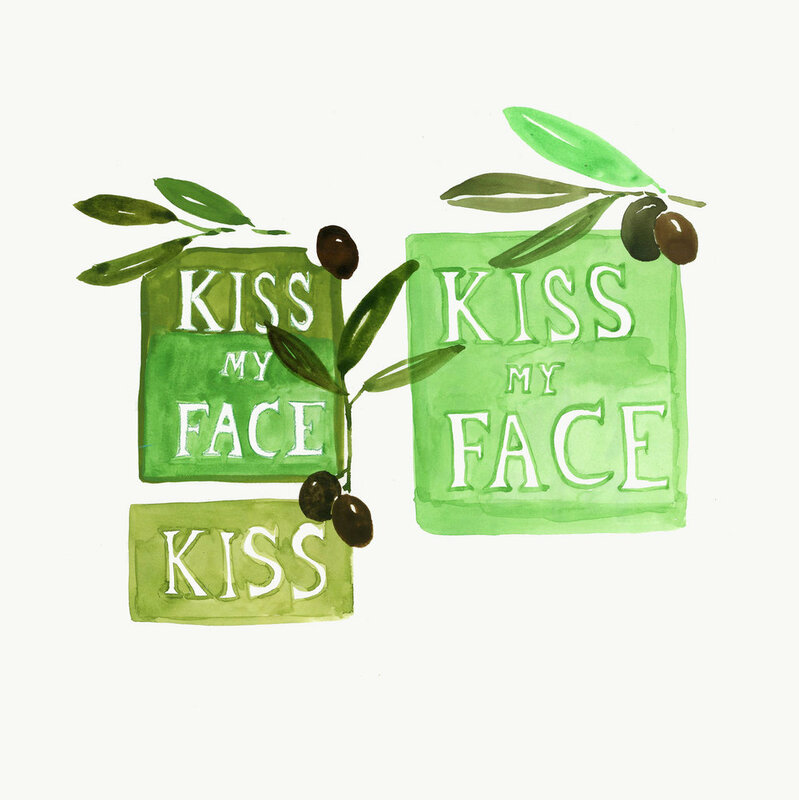 I painted these Kiss My Face soap labels with my opaque watercolors by Grumbacher. I bought the set from Amazon all the way back in 2015. It was my first watercolor set, and I don’t recall liking it much. I’ve grown to love it, though — oddly enough, for the same reasons that I hated it so much then: it’s streaky and chalky, its student-grade low pigments, and texture. For whatever reason, the cauliflowers which I once found to be so unappealing and ugly now make my heart sing. By the way, I love this soap. The earthy smell took me a while to get used to, but I’ve grown to really like it. Most of all, I love that the ingredients are limited to good stuff, things I can read and understand like olive oil, water, green tea, sea salt, and perfume. Hmmm. I just typed “perfume,” and I can’t help but wonder what perfume might be composed of.